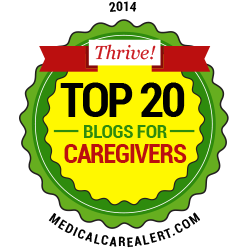 Welcome to the February 24, 2010 Edition of the EldercareABC Blog Carnival. June Tree presents Avoid A Bitter Family Feud: Estate Planning To The Rescue! » Silicon Valley Blog About Money posted at The Digerati Life, saying, "Thanks!" TSW Blog presents Easy Meal Idea: Frugal Soups! posted at The Smarter Wallet, saying, "Good dish that's easy to make and consume." Tom Bills presents Elderly Depression: Signs, Symptoms, and Getting Help posted at In-LawSuite.com, saying, "Practical Guide to understanding elderly depression and what you can do to help your elder loved one. Signs, Symptoms, Causes, and and how to get help for depression in the elderly." Alvaro Fernandez presents Educational and Clinical Implications of Neuroplasticity posted at SharpBrains, saying, "Nora D. Volkow, M.D, one of the directors at the National Institutes of Health (NIH), discusses the educational and clinical implications of neuroplasticity that look most promising for the coming decade, the 2010s."